Start taking classes at Intune Massage & Bodyworks and other studios! Please arrive at least 5 minutes in advance of your appointment in order to get settled into the space and complete any necessary paperwork at the front desk. Please also note that you are reserving a specific appointment slot with an assigned practitioner at Intune Massage & Bodyworks, so if you need to cancel your reservation, please do so as early in advance as possible! 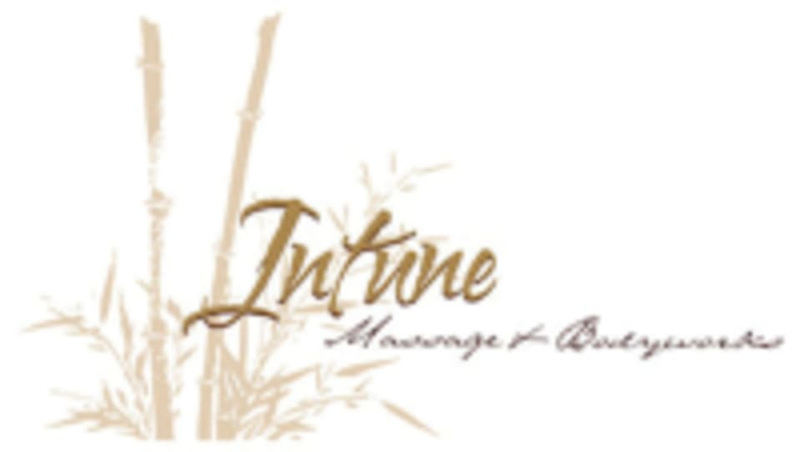 Intune Massage & Bodyworks is now at a new location ! 1135 Strand Avenue ( Strand & Oxford side of the building-Bank side) Plenty of parking available. You will take the side building ramp up to the second floor and there is a waiting room available for you . She brings a lot of experience and skill to the table! I will be back. So Amazing! Super knowledgeable and easy to talk to. Took the time to give wonderful after care suggestions and really improved my range of motion on my neck. Neat space, Thank you!